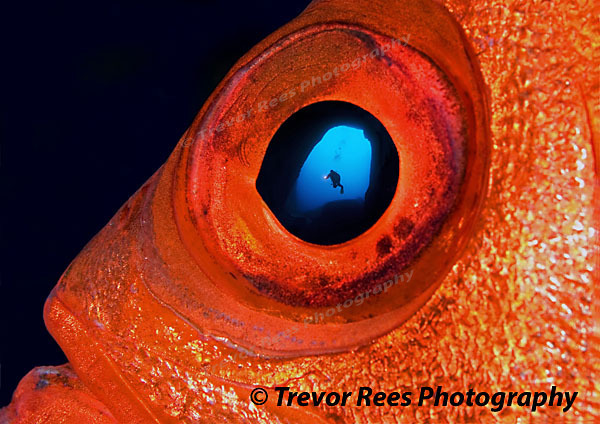 A cave diver appears in the eye of a Bigeye. A composite image with a diver from a cave in the Mediterranean appearing in the eye of a Bigeye fish from the Red sea. A winning image from the 2007 BSoUP print competition.